Copy in scale of a 50 cm Resurection of Christ with cross. 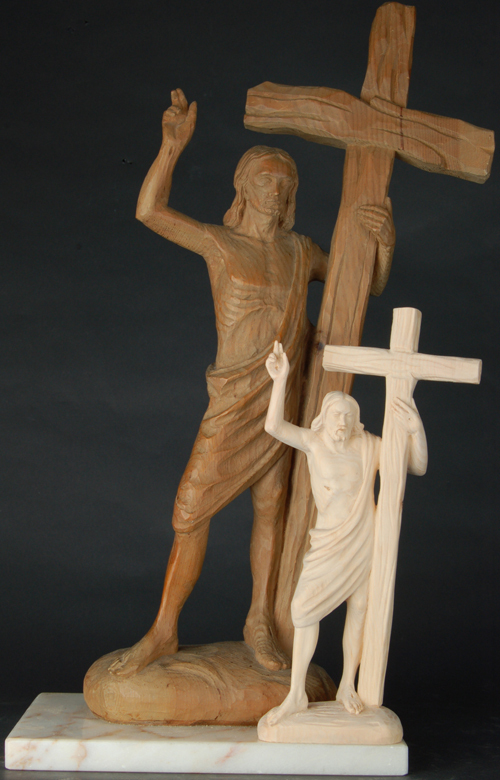 The customer sent us the original sculpture of a resurected Christ with cross in 50 cm. The task was to create a copy of this piece of work in 25 cm.